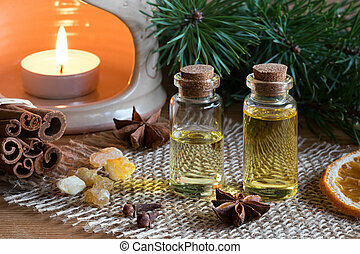 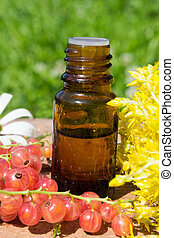 Two bottles of essential oil with cinnamon, star anise, frankincense, clove, pine branches and an aroma lamp. 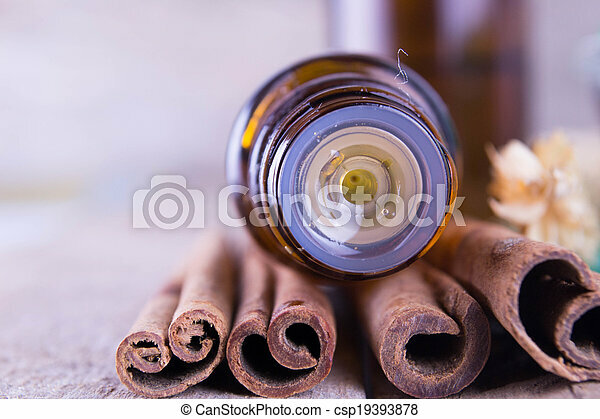 Christmas styled. 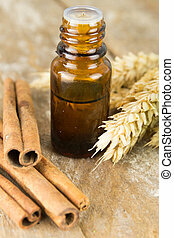 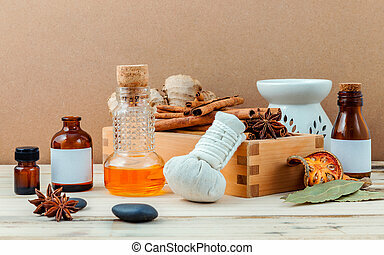 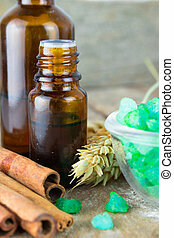 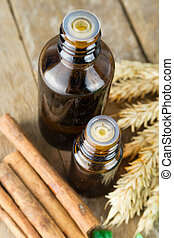 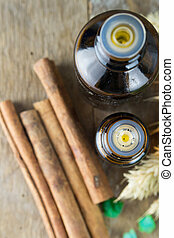 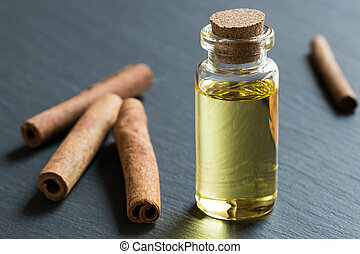 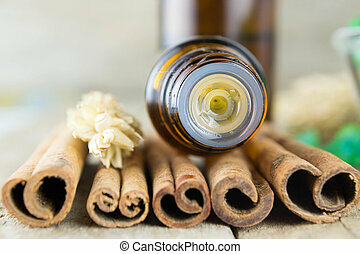 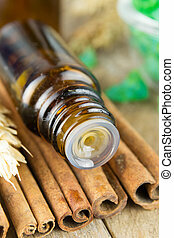 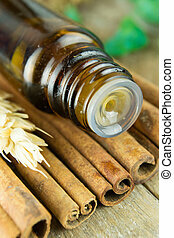 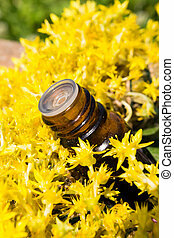 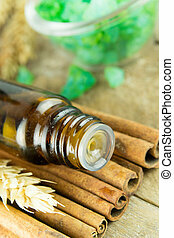 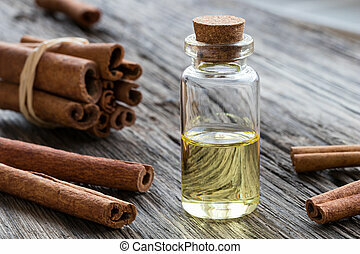 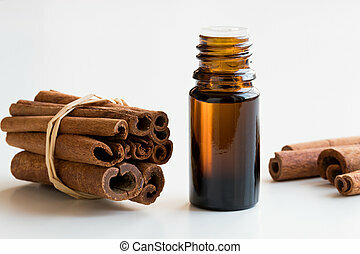 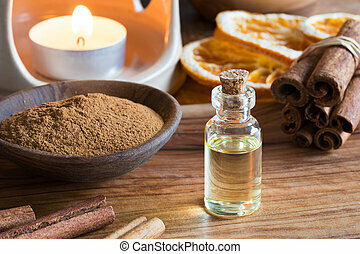 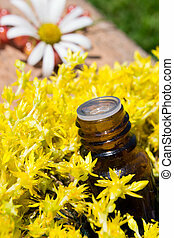 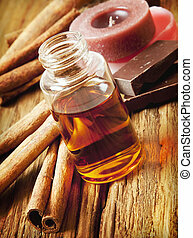 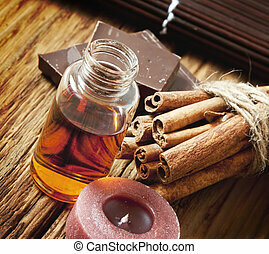 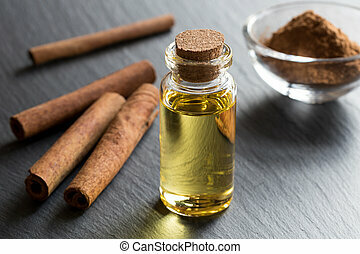 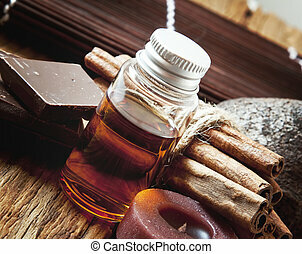 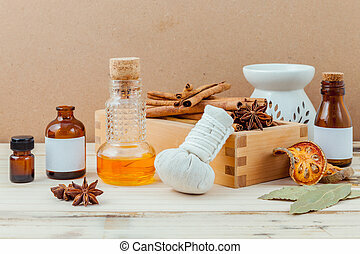 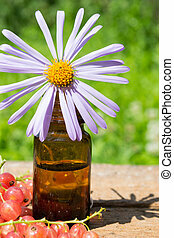 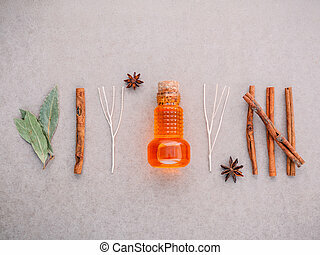 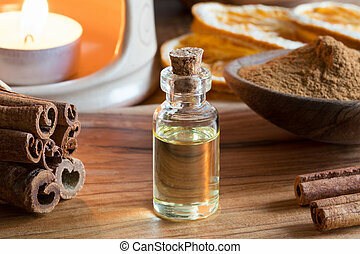 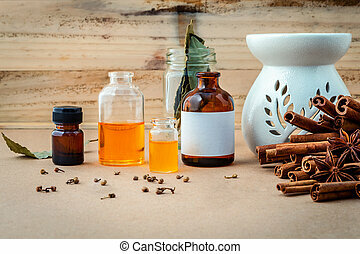 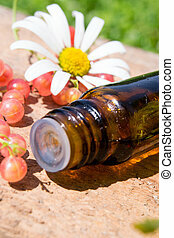 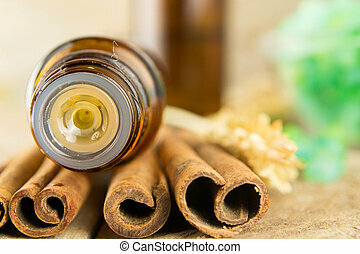 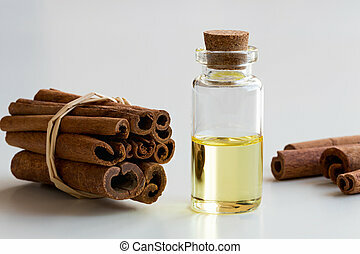 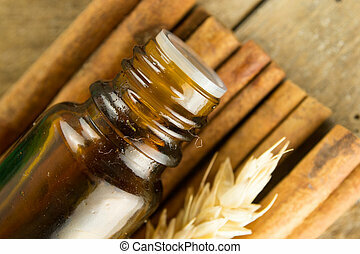 Bottle of essential oil with cinnamon stick ,star anise ,bay leaves with selective focus on old wooden background .